Panera "Should Be" by Anomaly. Panera Bread’s bakery café chain is carving out its territory in the fast-changing casual restaurant frontier with a new marketing initiative "Food as it should be," backed by a tech upgrade. The campaign, which broke June 16, is anchored with a 60-second TV video showing scenes of family and friends joyfully eating and socializing. Created by ad agency Anomaly, it takes an upbeat, emotional approach to explain why people should be able to eat food that is good for them. For the one-time leader in healthy fast casual food, moving back into the limelight couldn’t come soon enough. Last year, 34-year-old Panera saw its revenue growth slow as sales at trendier rivals such as Chipotle Mexican Grill and Shake Shack outlets took off. In the first quarter this year, Panera’s same store sales at company-owned stores (not including franchised cafes) inched up a slim 1.5%, and its overall revenue grew 7%. In contrast, during the same period Chipotle’s comparable store sales grew 10.4% and its overall revenue climbed 20%. A lot is at stake. Since the U.S. is dotted with slightly more Panera restaurants than Chipotle outlets — more than 1,800 for each chain — if the marketing push resonates with consumers this summer, it could reorient the fast casual landscape, said experts. In other words, Chipotle might want to watch its back. Experts say Panera’s key challenge is to set itself apart. "Everybody is moving forward in food quality and talking about it," said Arjun Sen, CEO of ZenMango, a brand consultancy. "What Panera needs to communicate is what makes the ingredients in your favorite salad better than what you can find elsewhere." Restaurant consultant Aaron Allen agrees. "What specifically is Panera doing [right now] to fulfill its promises? Early this year, Chipotle took carnitas off the menu in hundreds of restaurants when it couldn’t find enough antibiotic-free pork. That makes an impression on consumers." Panera is trying to stand out by "encouraging people to ask questions to fully understand all the ingredient claims," being made by restaurants, said Chris Hollander, head of marketing. "Many chains are talking about one ingredient or additive, but we are taking it further than anyone and improving ingredients across our entire menu. It’s a massive undertaking," he said. 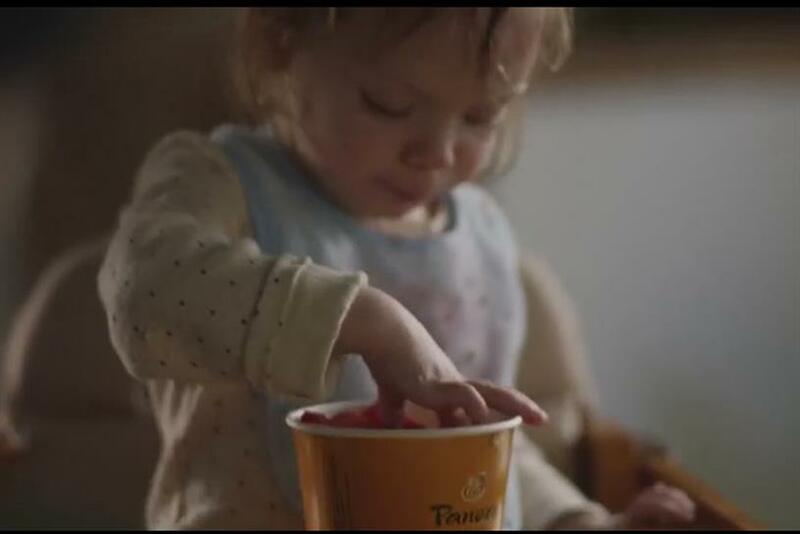 While Panera’s new marketing video focuses on brand values, more hard-hitting messages about the scope of the menu overhaul are being pushed via social media, in-store marketing and public relations, said Hollander. For instance, last week, the company invited several food influencers to its pantry in New York to show them and explain the ingredient changes. A list of the more than 80 additives that the company will remove from its food by late 2016 is also being displayed in each restaurant, Hollander said. "These days, if people can’t pronounce it, they don’t want to eat it," stated Emily Callaghan, concept development manager at Synergy Restaurant Consultants. "Panera has their finger on the pulse of this evolving preference." The new campaign, backed with an estimated $25 million, also includes digital, radio, outdoor and cinema marketing. On the technology side, busy Panera customers can order from a smartphone app and via kiosks (in 124 restaurants, so far) without having to stand in line. The food is then brought to their table, or put on a self-serve shelf for to-go orders. The idea is to add speed to customized meals using tech "that resonates with younger consumers and associates our brand with being cutting-edge," said Hollander. But will the chain’s soup, salad and sandwich menu prove to interesting enough? One of the fastest-growing items, for instance, is a turkey sandwich on flatbread using cranberry chutney and garlic-herb cheese. "The edgiest, most urban Millennial diners are not likely to frequent Panera even after these changes," Callaghan said. "But Millennials in less-saturated markets may start trusting the brand and families who value health may trade up to Panera from the major fast food players," she said. "Few competitors have the platform that Panera has, with all those outlets," ZenMango’s Sen added. "The brand now has the unique opportunity to let us inside and become more transparent."